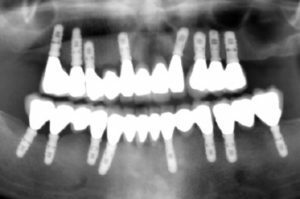 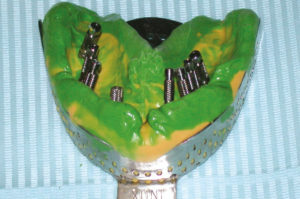 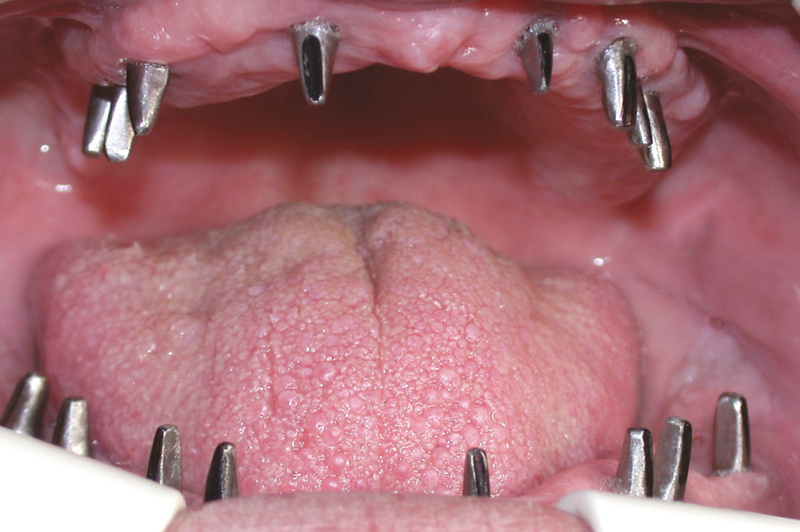 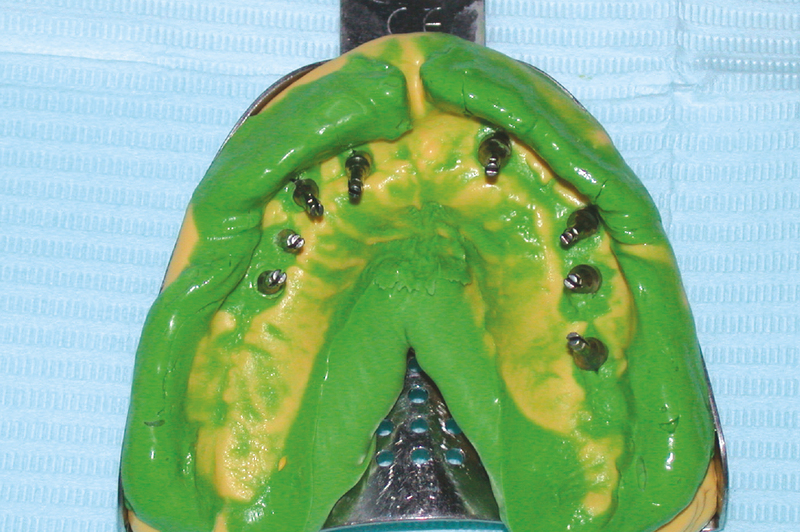 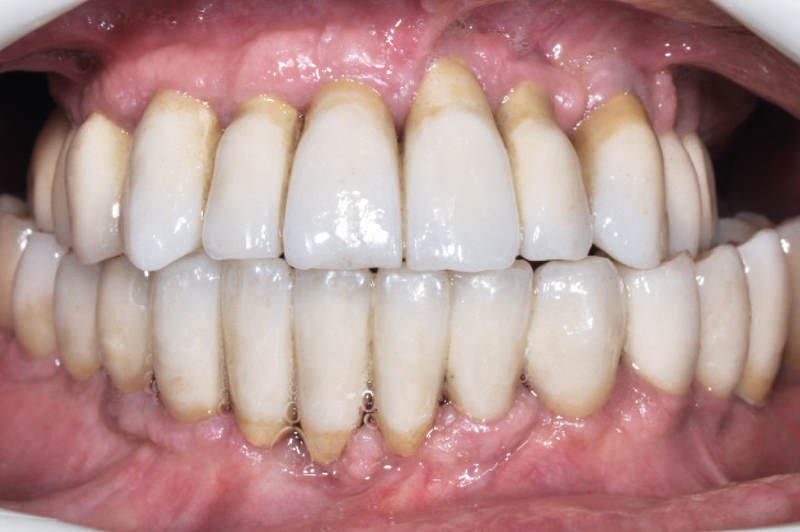 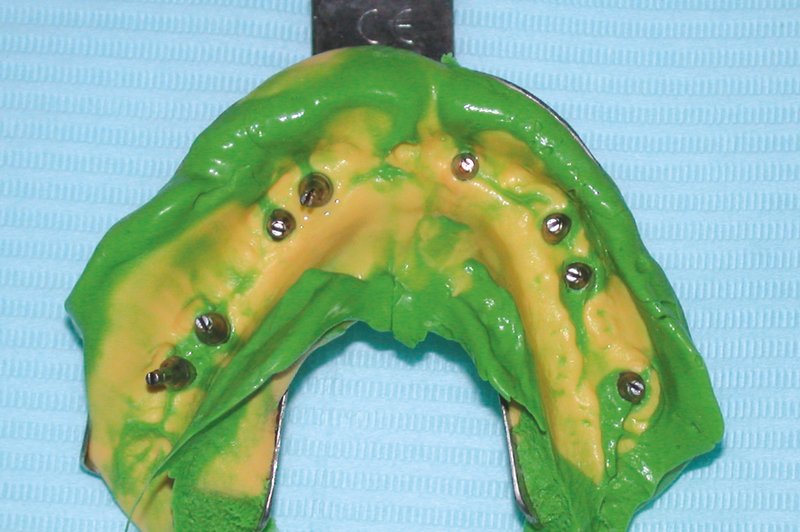 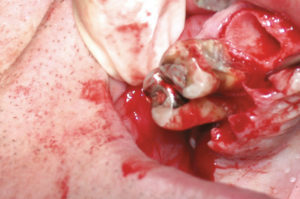 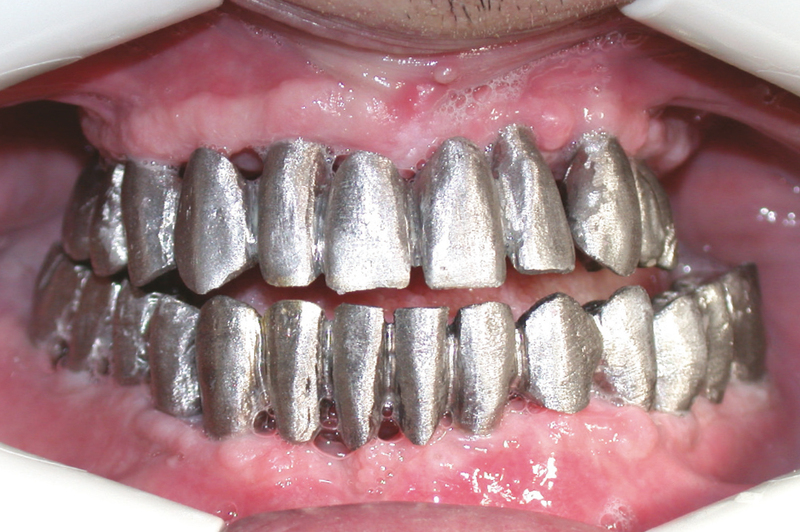 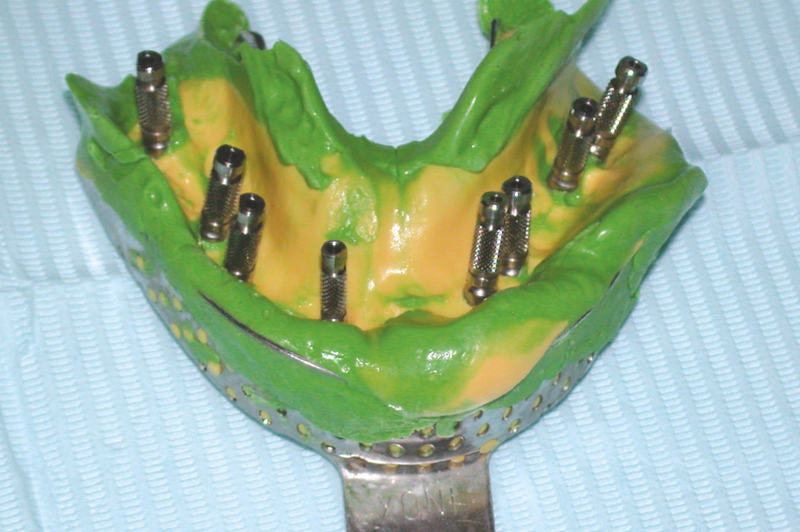 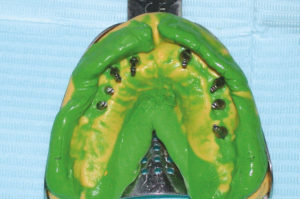 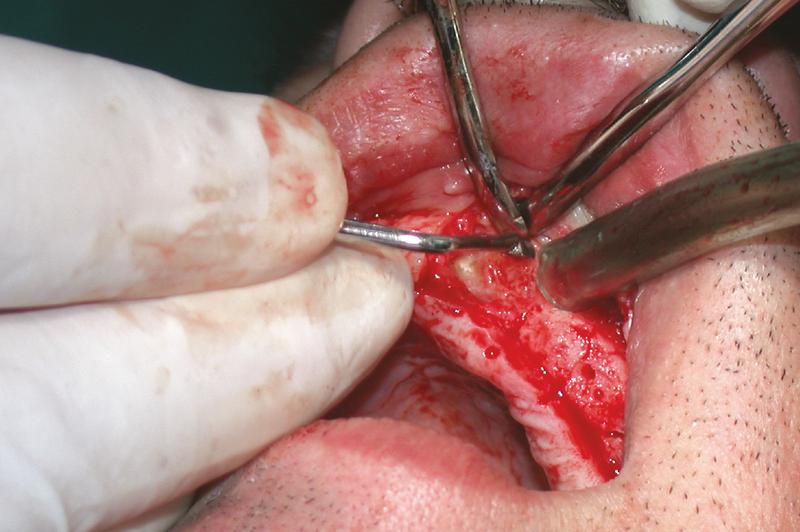 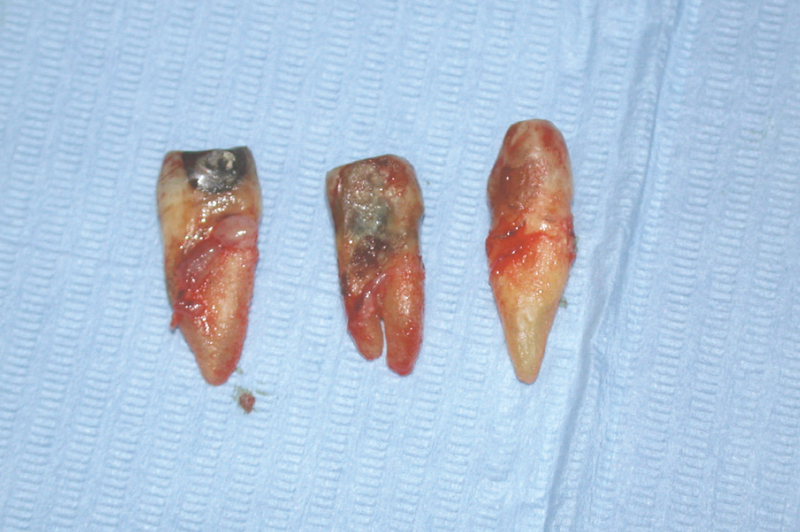 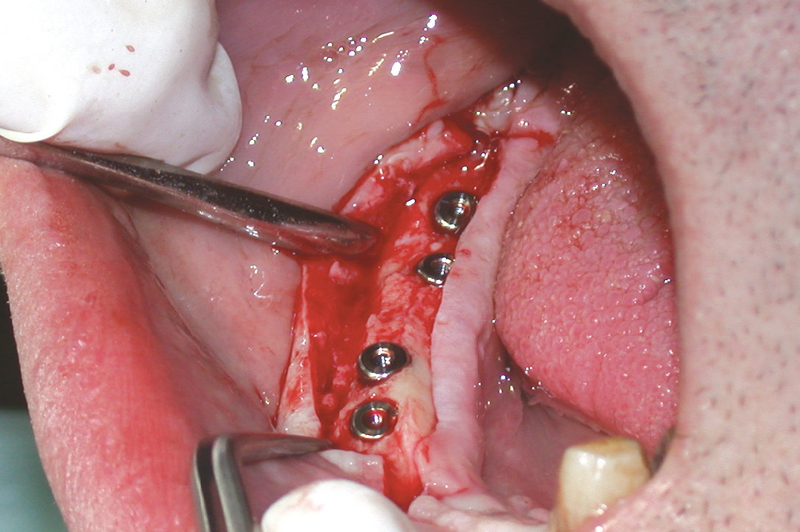 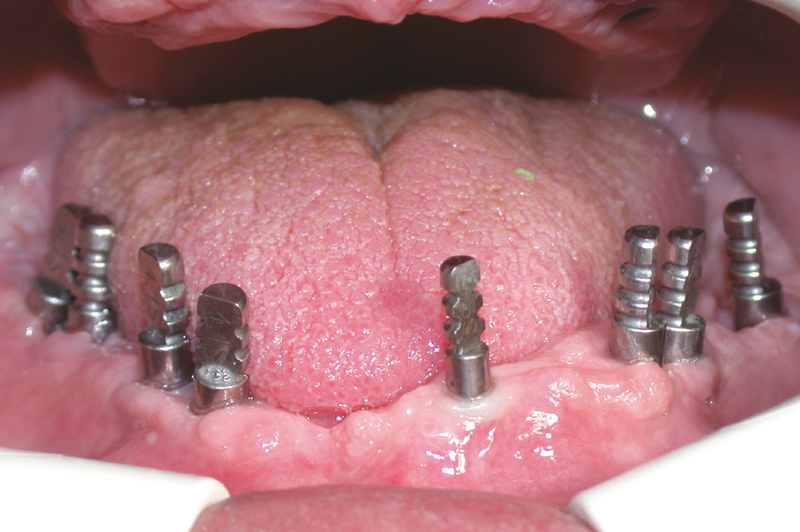 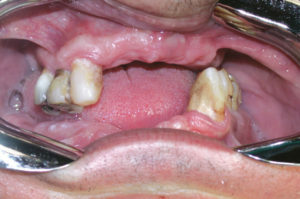 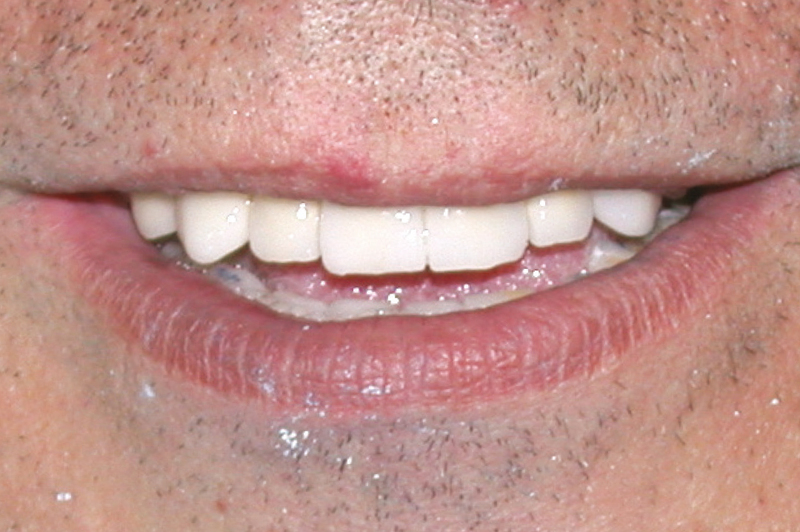 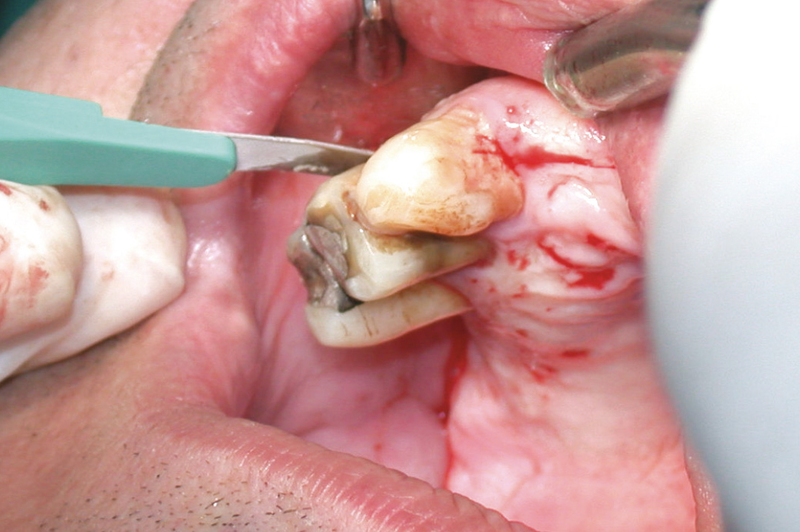 This case report illustrates the treatment of a 58-year-old male patient with a critical periodontal situation and numerous missing teeth in both jaws asking for implant supported fixed restorations. Clinical and radiographic examination revealed sufficient bone volume for the placement of implants in both jaws. 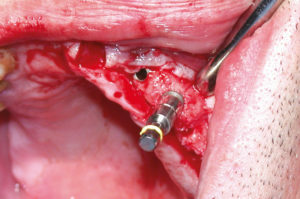 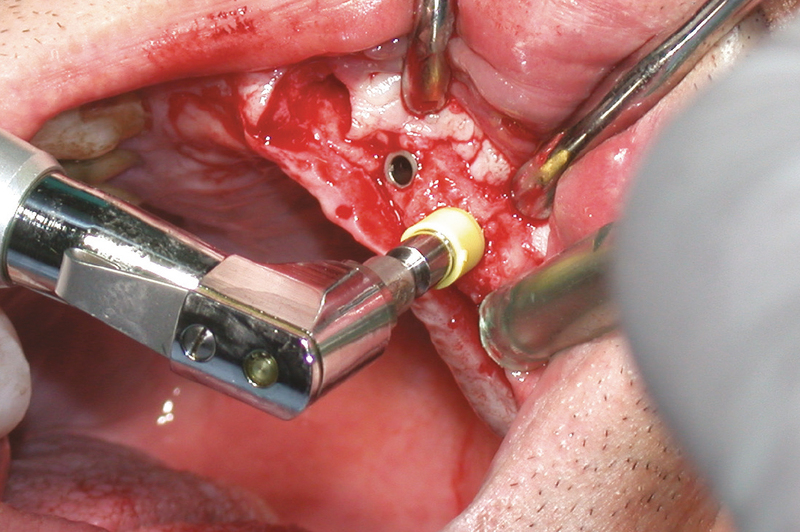 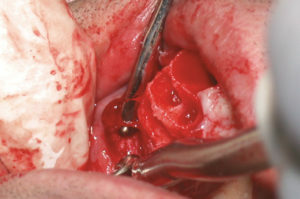 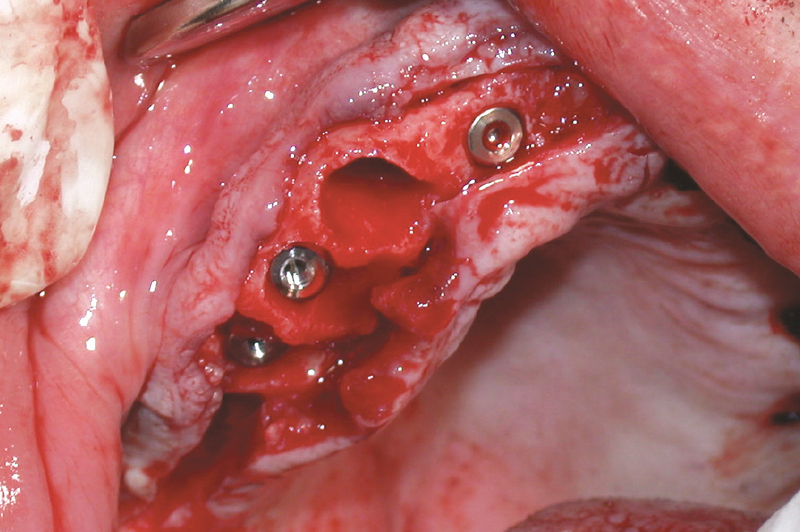 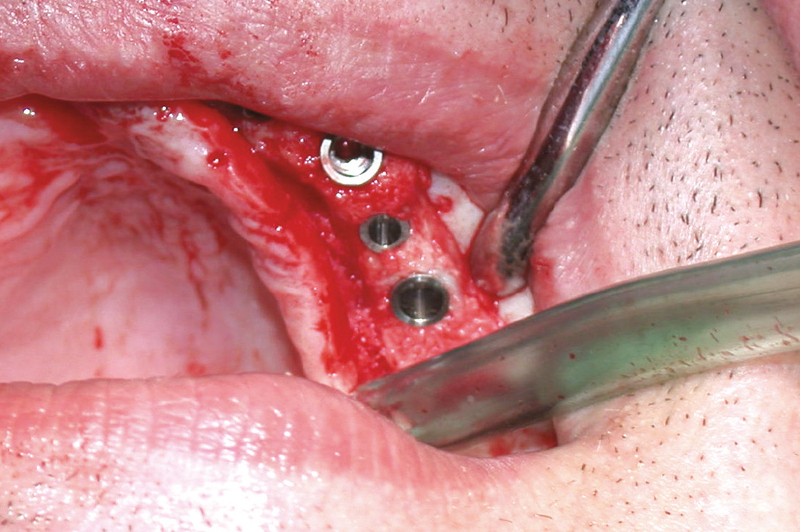 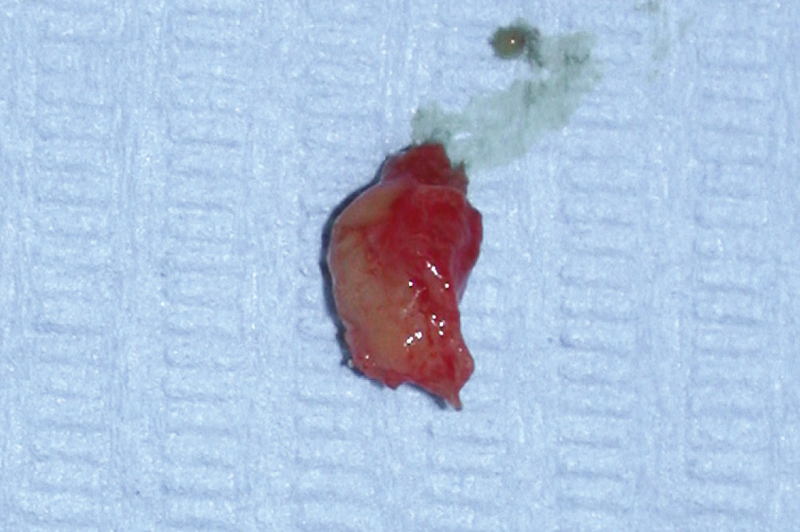 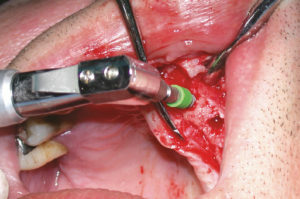 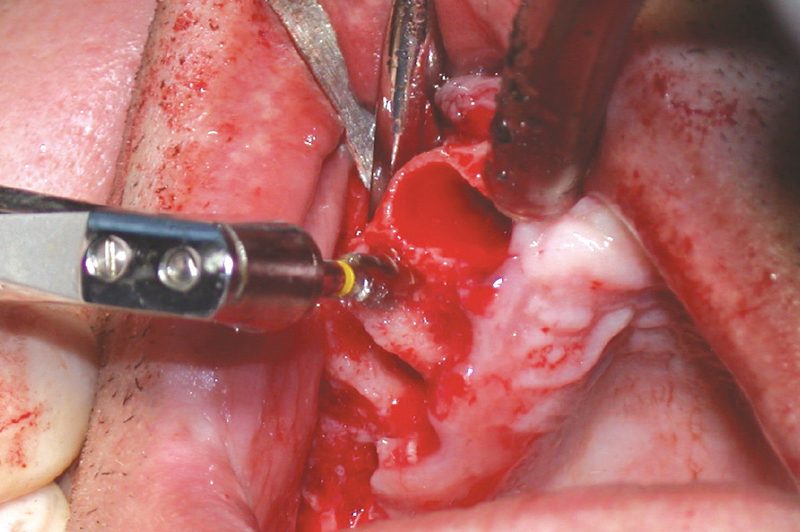 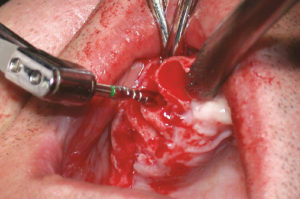 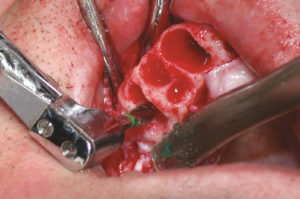 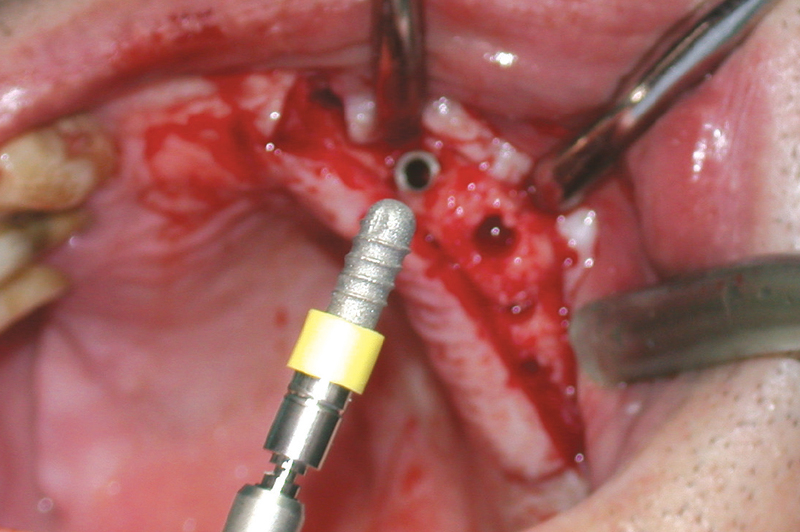 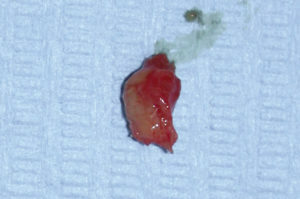 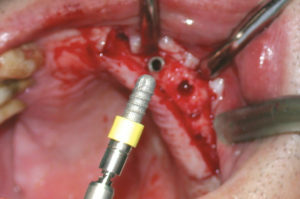 After extraction of all residual teeth and removal of a maxillary cyst, eight Leone implants were placed in the upper jaw with a two-stage surgical procedure. 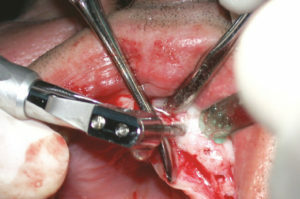 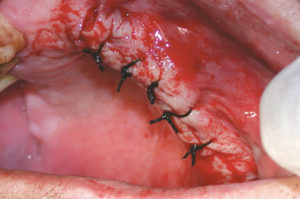 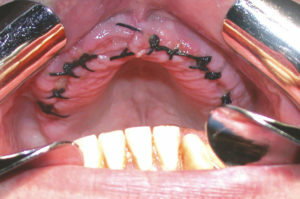 During the same treatment session two-stage placement of further eight Leone implants in the lower jaw was performed. After six months of healing, the implants were uncovered, impressions were taken and cement-retained metal-ceramic prosthesis were fabricated. 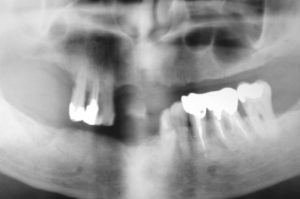 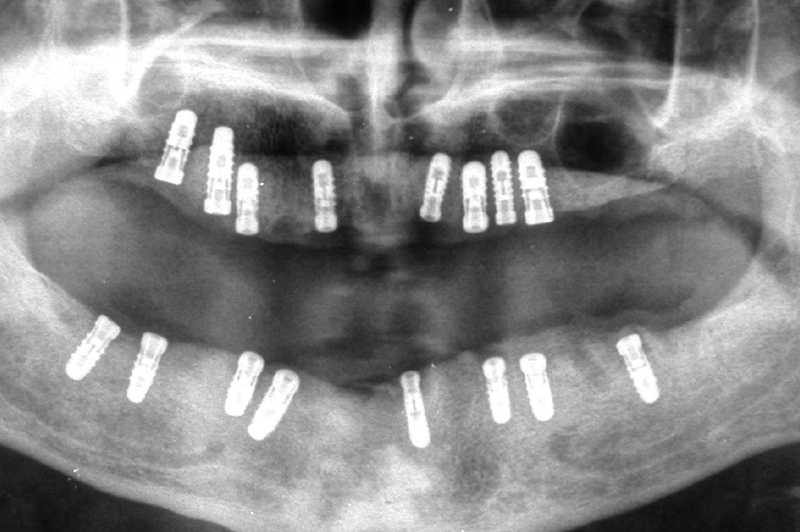 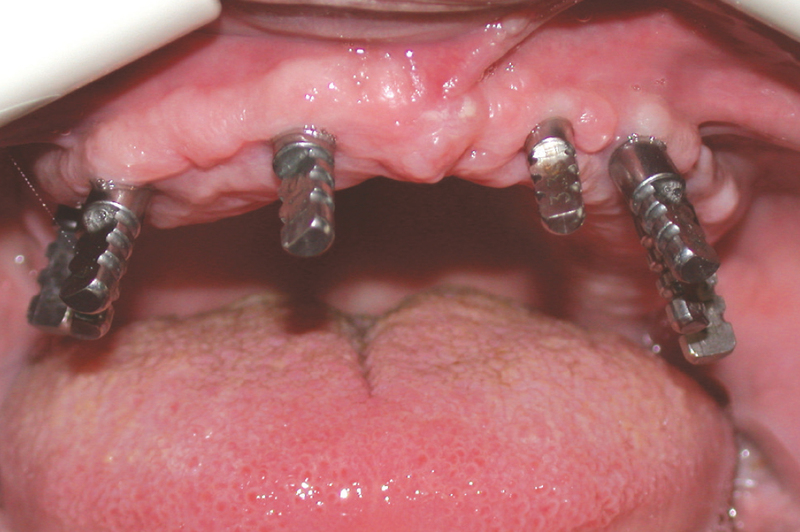 Panoramic radiograph and clinical pictures twelve years after delivery of the final prostheses show peri-implant bone stability and stable soft tissue margins.